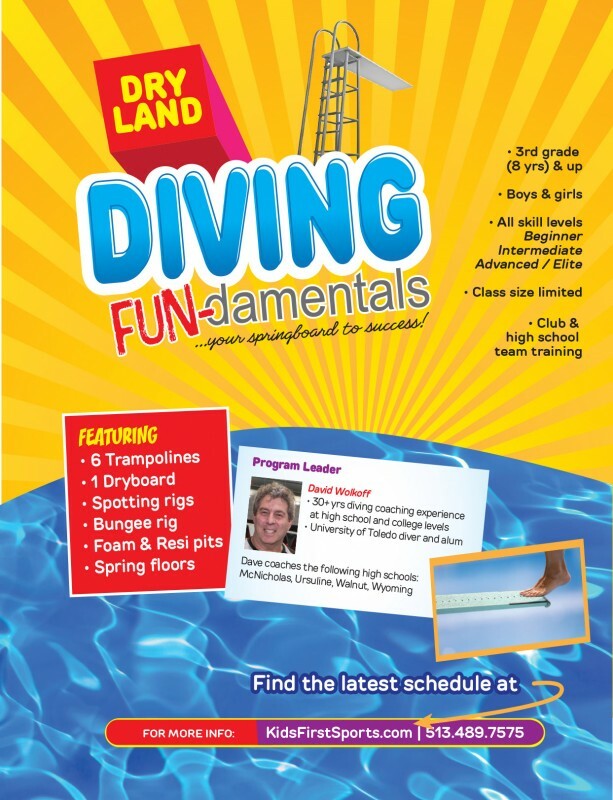 Check out the NEW dry-land Diving Fun-damentals class at Kids First! As experienced coaches, we strive to emphasize the value and importance of fundamentals in the sport of diving. Why is it called “Diving Fundamentals”? from the elite level divers. We combine fundamentals and fun to make every class an enjoyable experience for students of all ages and skill levels! This entry-level class introduces kids to the sport of diving in the comfortable and safe dry land atmosphere of a gymnastics gym. Hurdles, take­offs, and basic body positions will be emphasized. Bungees and spotting rigs may be introduced. Students will have access to spring floors, foam pits, trampolines, and the dry board. This class is designed for students with a diving, gymnastics, trampoline, and/or tumbling background. Hurdles, take­offs, and basic body positions will be refined. Bungees and spotting rigs will be introduced. Students will work on learning all 5 categories of dives (front, back, inward, reverse, and twisting). 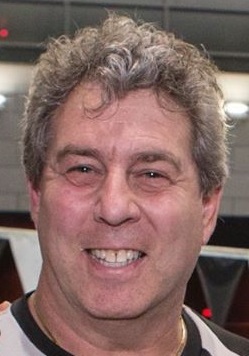 Students that have perfected the basic dives will begin working on dives with multiple flips and twists. This class is designed for students with a strong diving background. Bungees and spotting rigs will be used extensively. Students will work on voluntaries and optionals from all 5 categories of dives.